Around the clock is a darts game where you have to hit all the numbered segments 1 to 20 followed by the outer bull and finally the bull. 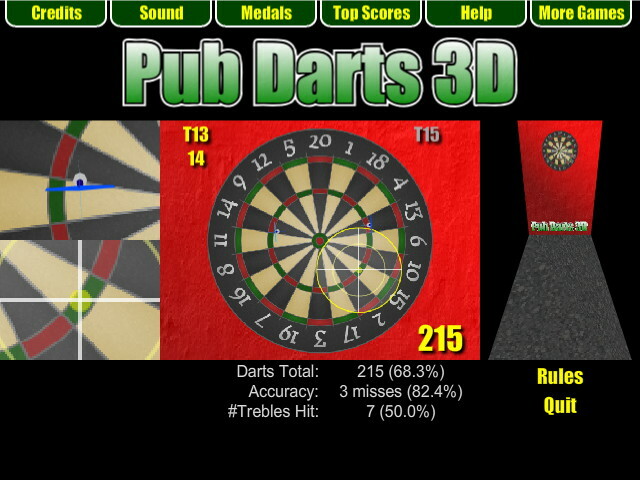 You score more points for hitting the trebles (middle ring) and for good accuracy. There are achievement medals for hitting enough trebles and there is a global leaderboard to challenge your friends. 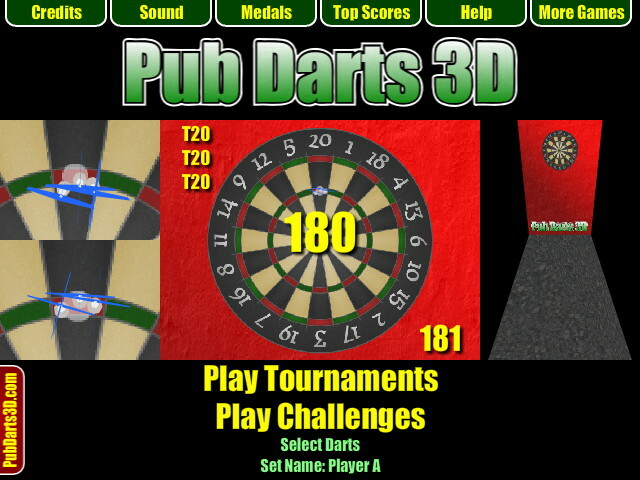 You can play Around the Clock in Pub Darts 3D (Flash Game) - Enjoy!